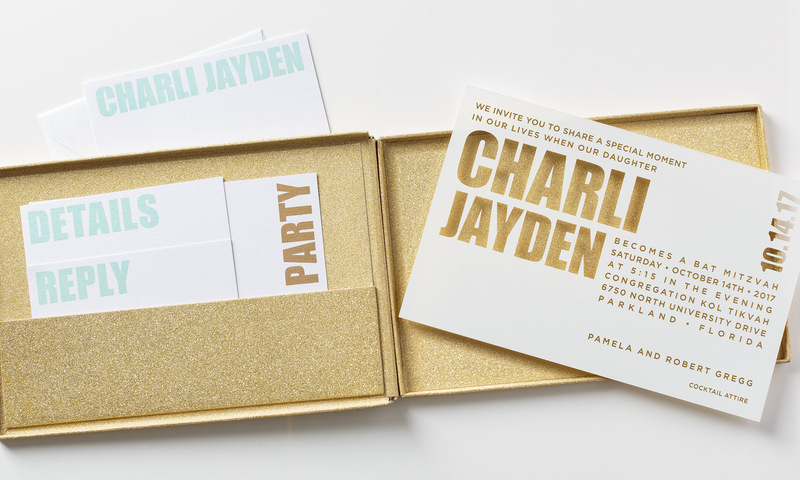 Charli’s invitation set arrived in a gold glitter box with a neat pocket to keep insert cards in place. 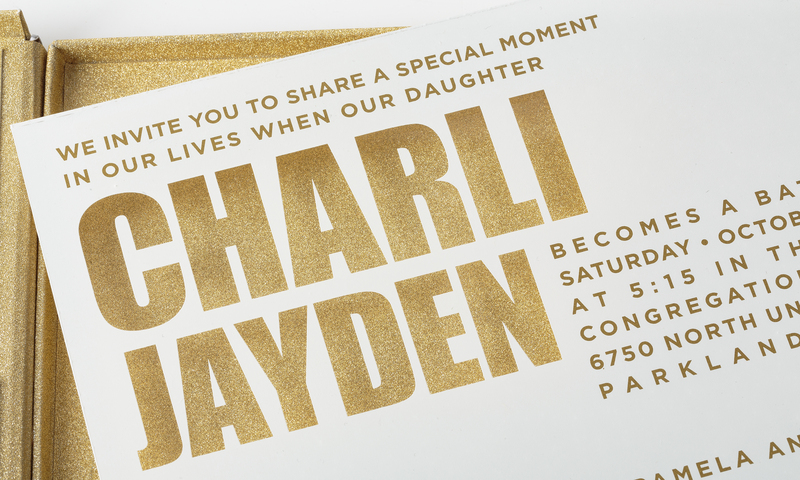 The clear acrylic invitation is printed with two colors of ink leaving transparent areas to let the glitter shine through. Make your special events unique. Contact us today.